Among the contributing factors, the NTSB said, was a lack of information in operating flight manuals and flight crew training programs about “previously known effects of freezing precipitation on the stability and control characteristics, autopilot and related operational procedures” of the aircraft. If there was a positive outcome to the tragic accident, the crash triggered decades of research into better understanding the effects of ice buildup on aircraft, as well as new regulations and aircraft certification standards to reduce the likelihood of future disasters. Still, accidents caused by in-flight icing continue to be a reoccurring tragedy for aviation. 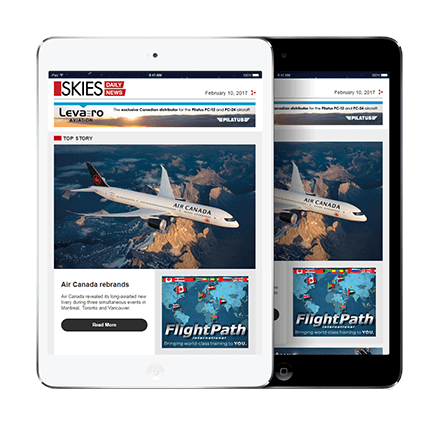 In early March, the National Research Council of Canada (NRC) completed a six-week project under the FAA’s Aviation Weather Research Program. 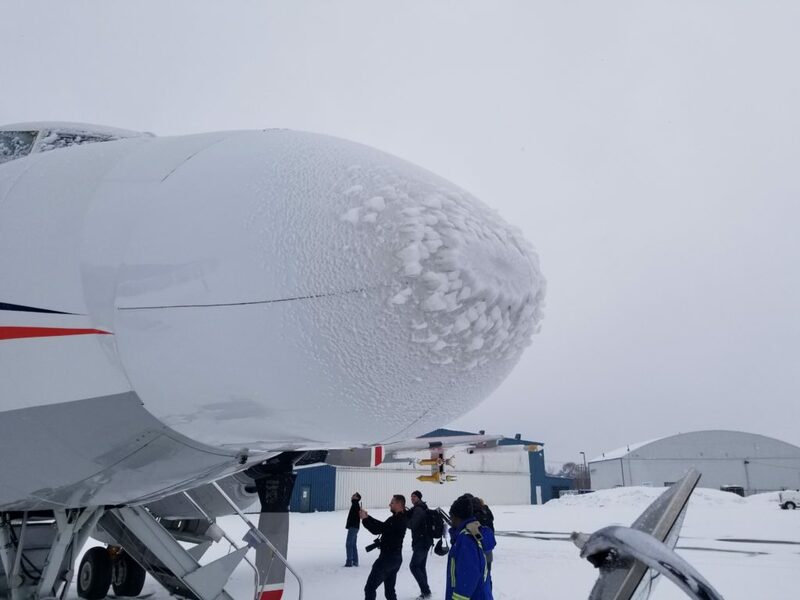 The collaboration between the U.S. National Center for Atmospheric Research, Environment and Climate Change Canada, and other American and European agencies gathered data that could one day help lead to improved weather models and forecasting for all icing conditions. 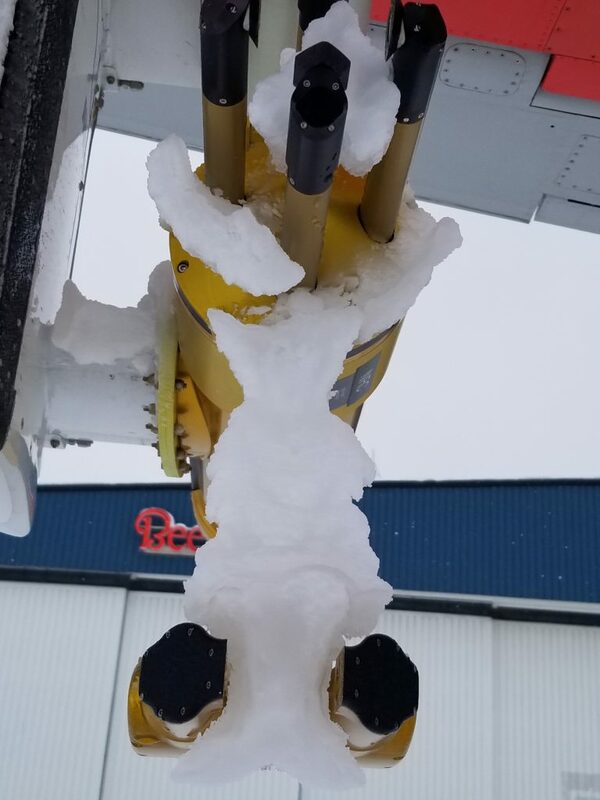 Known as ICICLE (In-Cloud ICing and Large-drop Experiment), the project involved over 100 hours of flying through various states of icing–extreme cold, large drops, freezing rain, freezing drizzle–to test whether onboard tools and sensors and ground-based radars could differentiate between different icing environments. 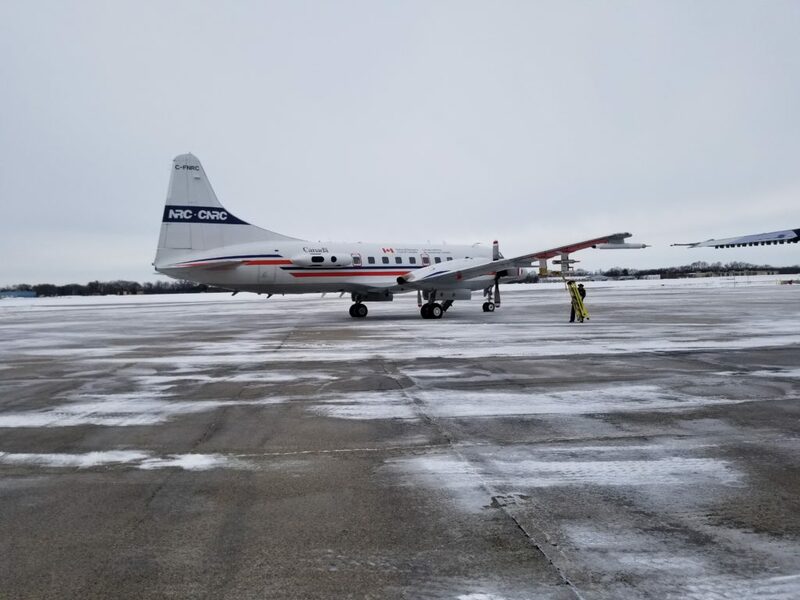 The data was collected using the NRC’s Convair 580, a twin-engine research aircraft equipped with over 30 sensors installed throughout the plane and through inlets designed to bring in air for sampling. The crew of 11 researchers, including seven from the NRC, also took extensive measurements of atmospheric states to create three-dimensional profiles of temperature and humidity. 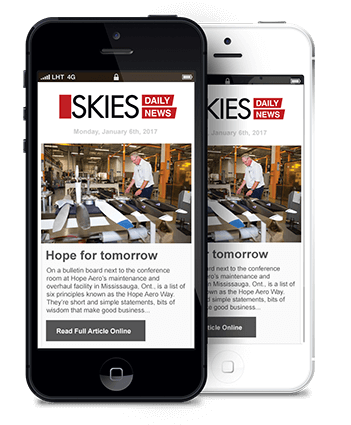 The project, which was based out of Rockford, Ill., west of Chicago, relied on ground support from various instrumented sites and real-time satellite communication to direct the aircraft into optimal cloud conditions. The flying area itself extended from Wisconsin and southern Lake Superior to Michigan, and as far south as Kentucky, but the majority of the flying was conducted adjacent to the southern half of Lake Michigan where clouds were likely to bring freezing rain and drizzle. Among ICICLE’s many objectives, researchers hope to improve some of the forecasting models developed in recent years. 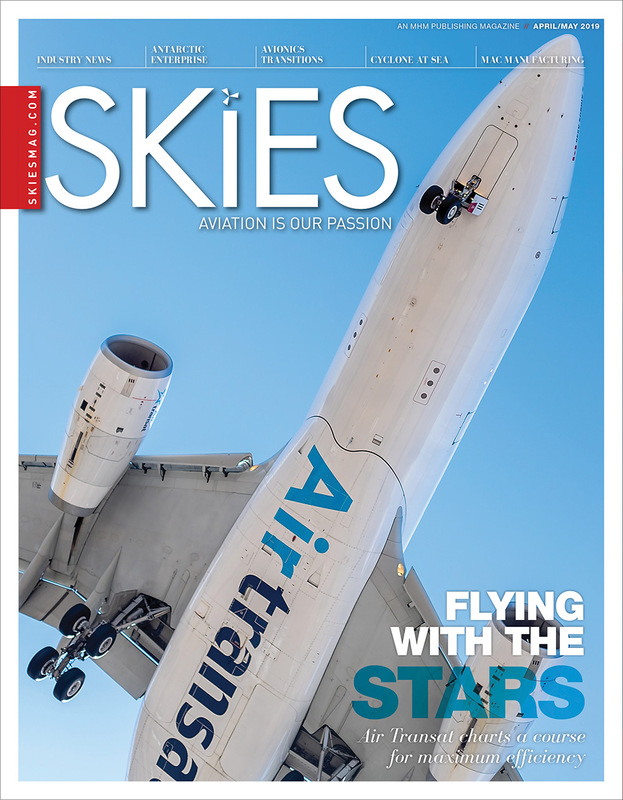 Wolde noted that FAA-funded icing programs over the past decade have resulted in new tools from algorithms based on high-resolution satellite data and ground radar to help pilots detect and avoid deteriorating conditions. Though many aircraft have sensors to indicate ice accretion and can access satellite or ground-based systems for real-time information about weather conditions on a planned flight path, “aircraft aerodynamics can be greatly deteriorated or even destroyed by a particular icing environment,” said Anthony Brown, the NRC’s research engineer test pilot. Numerical weather model prediction improvements and ground radar system advancements could mean more accurate information. 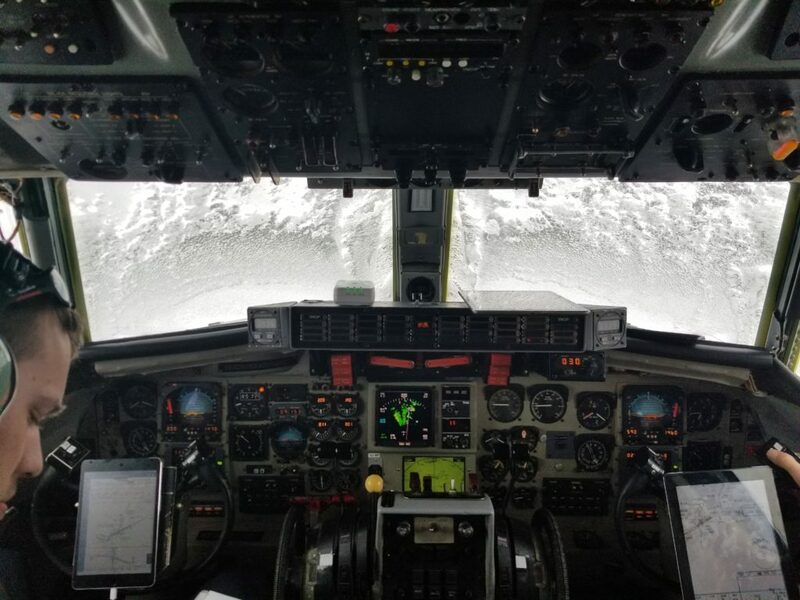 Better prediction models and a better understanding of the effects that can occur as an aircraft transitions through different icing conditions, such as large drops and drizzle, could significantly improve flight safety, he added. Though it was not a primary part of the mission, NRC researchers also trialed new sensor technology recently developed by industry. “NRC has been working with companies to develop and validate new sensors,” said Wolde. Flying through heavy icing isn’t for the faint of heart. Experience and the type of aircraft count for a lot, said Brown. 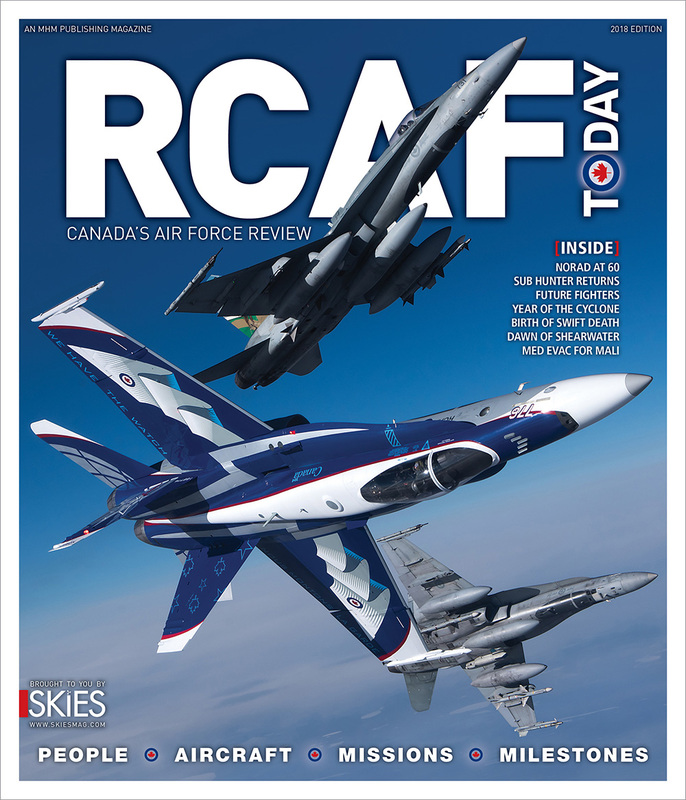 Prior to joining the NRC in 2002, he flew in Europe and conducted flight research in Australia, often flying south of New Zealand and up to Japan under hard icing cloud environments similar to North America. But he immediately launched into the Alliance Icing Research Studies (AIRS) II campaigns the NRC was conducting with U.S. and European agencies at the time, and discovered the design of the Convair and its ice protection system were truly unique. 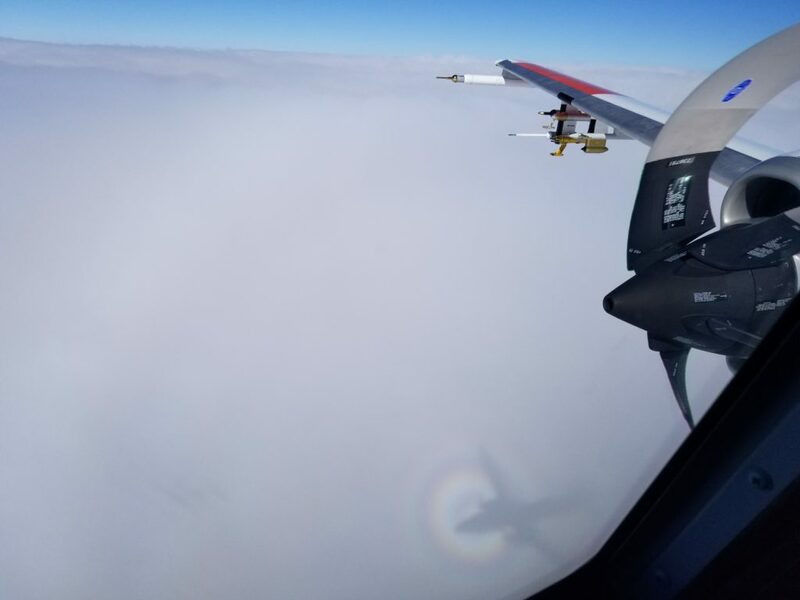 In fact, ice accumulation on the tips of some of the sensors, rather than the aircraft itself, on occasion forced the team to drop or rise to warmer air to let the sensors warm up before researchers could continue taking measurements. “The sensors sometimes cannot cope with the environment we fly in,” said Wolde. Over the next six months, NRC and affiliated scientists will perform quality control on the data before distributing it to the wider international research community for analysis.